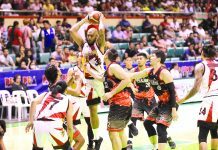 MANILA – San Miguel Beermen regained its dominant form as it waylaid the Blackwater Elite, 93-79, in the 2019 Honda PBA Philippine Cup last night at the SM Mall of Asia Arena in Pasay City. June Mar Fajardo led the way with double-double 20 points and 21 rebounds, while Alex Cabagnot and Terrence Romeo added 19 and 17 markers, respectively, for the Beermen (3-3). 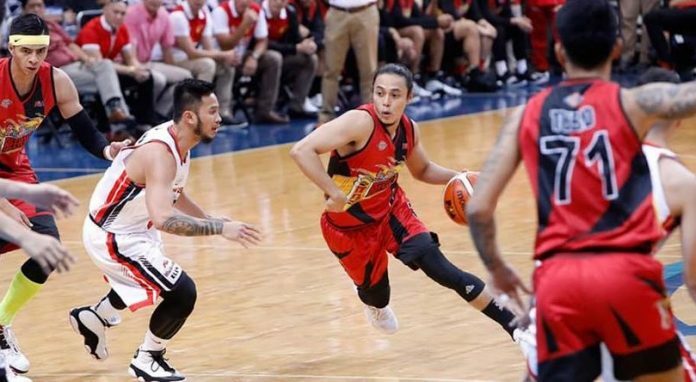 Both teams exchanged leads in the opening period before the Elite took a 27-22 lead but the Beermen immediately countered with a run from Cabagnot, Romeo and Chris Ross to seize a 44-41 halftime lead. The score was tied at 50-all early in the third when the Beermen came up with a strong run on inside baskets from Fajardo and outside hits from Cabagnot and Romeo for a 74-64 edge. The four-time defending champions pulled away for good in the final quarter with shots from Cabagnot and Kelly Nabong for its largest lead at 87-66. The Elite made its last push but could only come to as close as 14 points. Shej Roi Sumang tallied 17 markers, Michael Digregorio added 14 markers, while Allein Maliksi chipped in double-double 13 points and 12 rebounds for the Elite, which dropped to 1-4 card. 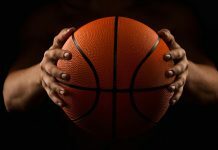 In the first game, the Alaska Aces showed that they are still a formidable squad even with a decimated lineup after a wire-to-wire 94-72 victory over the skidding Columbian Dyip. 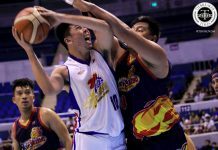 The Aces started strong as they surged to a 32-18 advantage on shots from Chris Exciminiano and Jeron Teng. The Dyip come to within 36-41 but baskets by Carl Bryan Cruz gave the Aces a 46-36 halftime edge. The Dyip were still hanging at 42-51 when the Aces unloaded a huge run courtesy of Exciminiano, Chris Banchero and Jesper Ayaay for its largest lead at 30 points on a triple by Cruz.